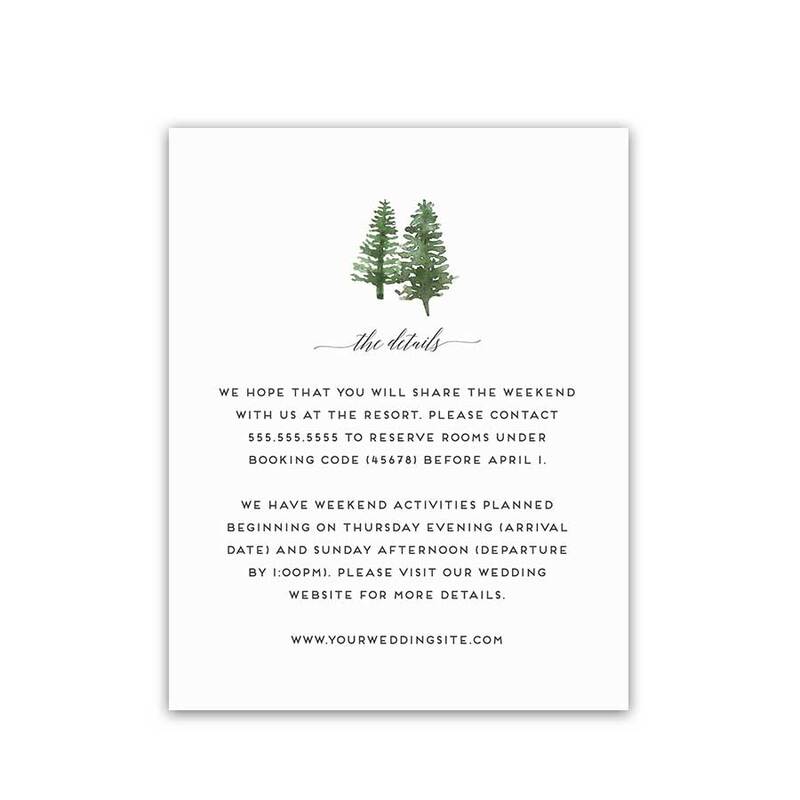 A beautifully modern mountain themed wedding response card featuring beautiful a modern hand painted mountain theme for a minimalist composition. Each card comes with an accompanying white or cream cotton envelope. 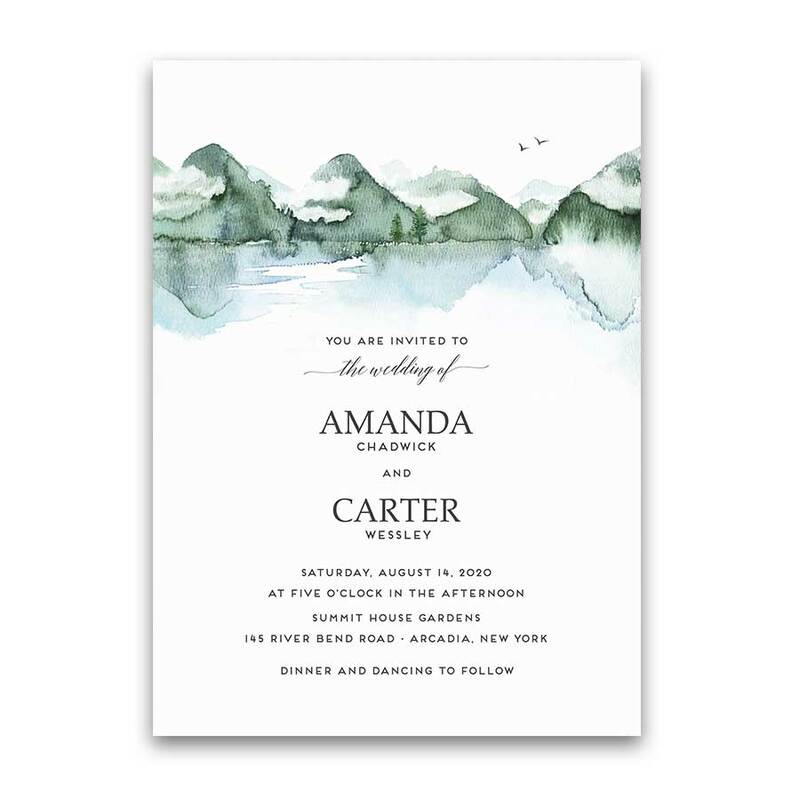 Mountain Wedding RSVP Template Watercolor Forest Lake. 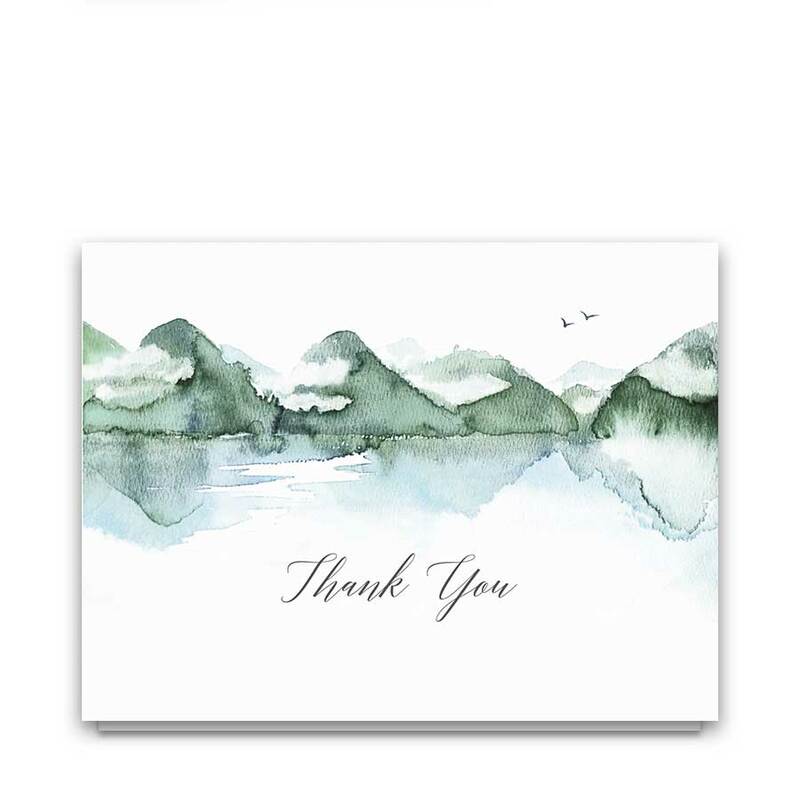 This beautiful mountain wedding response card features hand painted watercolor mountains with a few pines just beyond a beautiful lake. Welcome to the Highlands Collection. 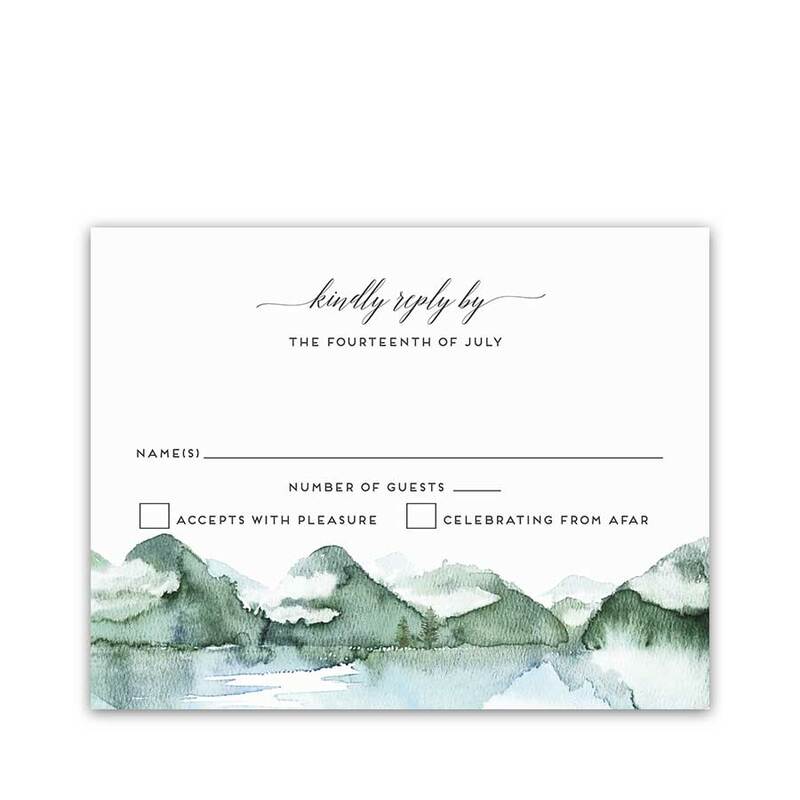 These mountain wedding rsvp cards boasts hand painted watercolor mountains. The mountains sit beyond a gorgeous lake on a white background. Additionally, modern fonts and minimalist design create your perfect wedding set. As you can see, complimenting accessories with the same outdoor wedding theme are also in the store. 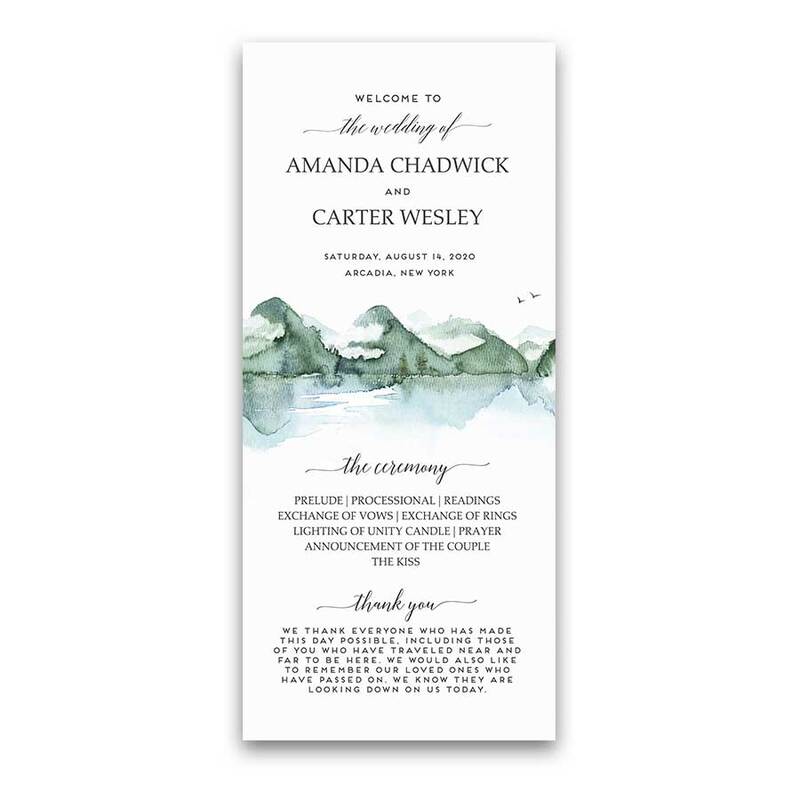 The Mountain Wedding RSVP Template Watercolor Forest Lake measures 5.5 inches by 4.25 inches.